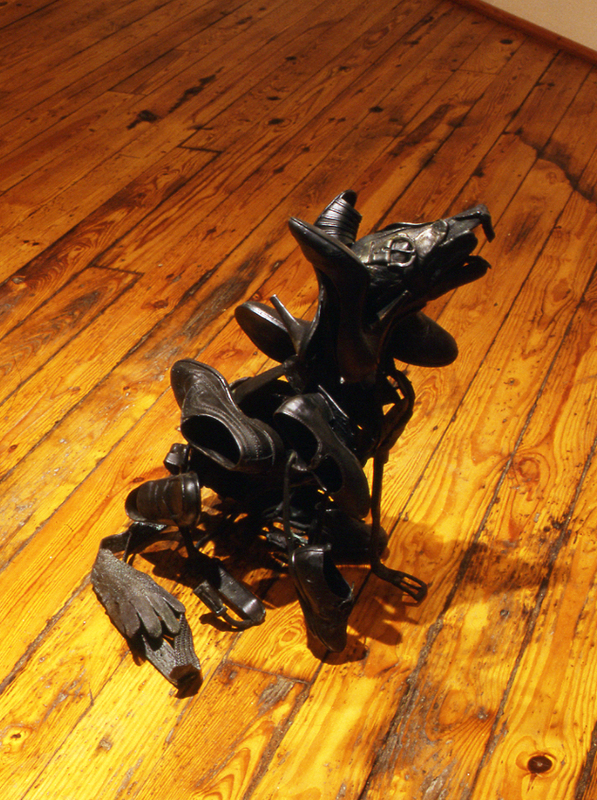 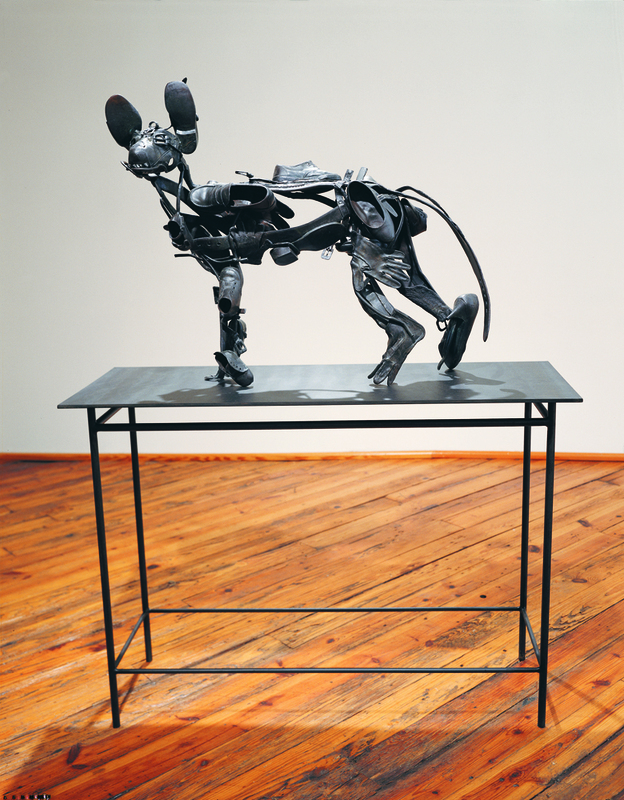 Some of my recent work as a sculptor has been focused in a series of life-sized animals and pieces of furniture fabricated and all cast in bronze shoes, boots, ties, extension cords, gloves, and the like. 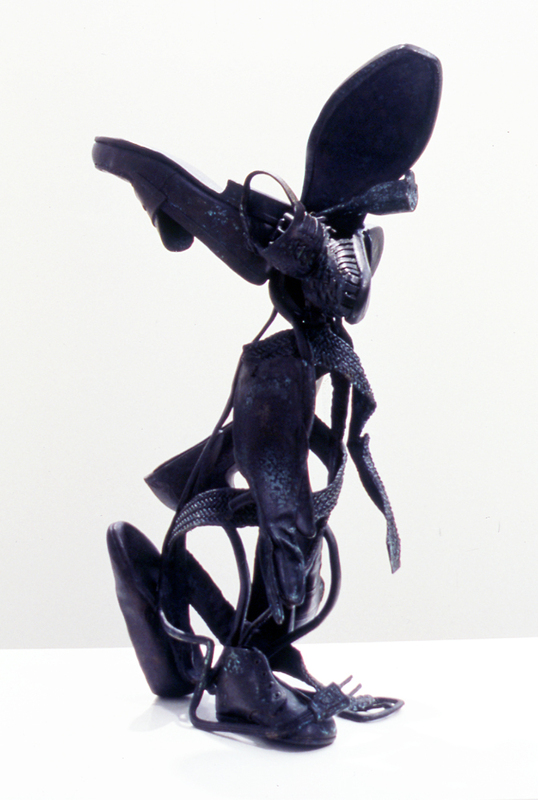 The process has been long and tedious but the end results have been a spectacular breakthrough for me as an artist. 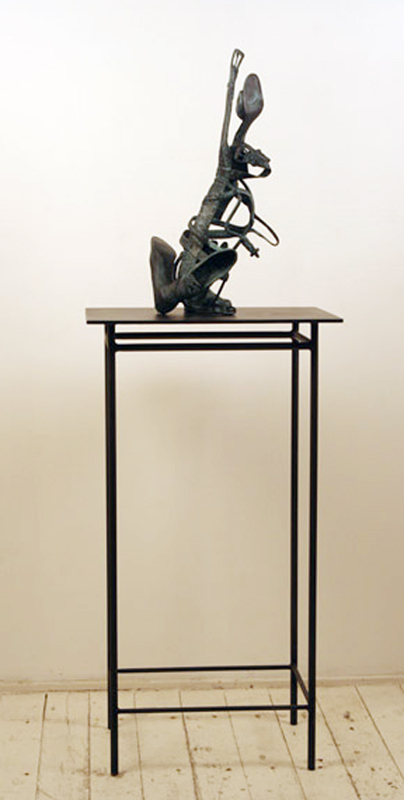 I wanted these works to be formally rigorous. 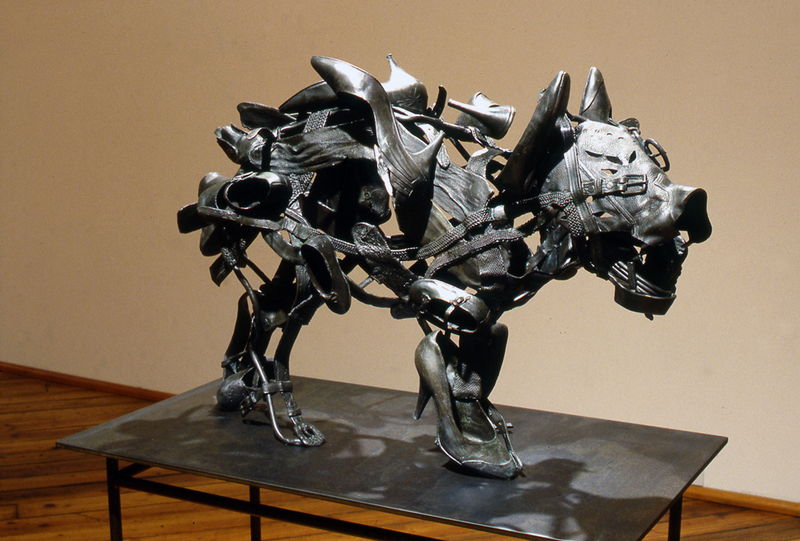 I wanted to use the animal that wasn’t there, the void, as the sculptural form. 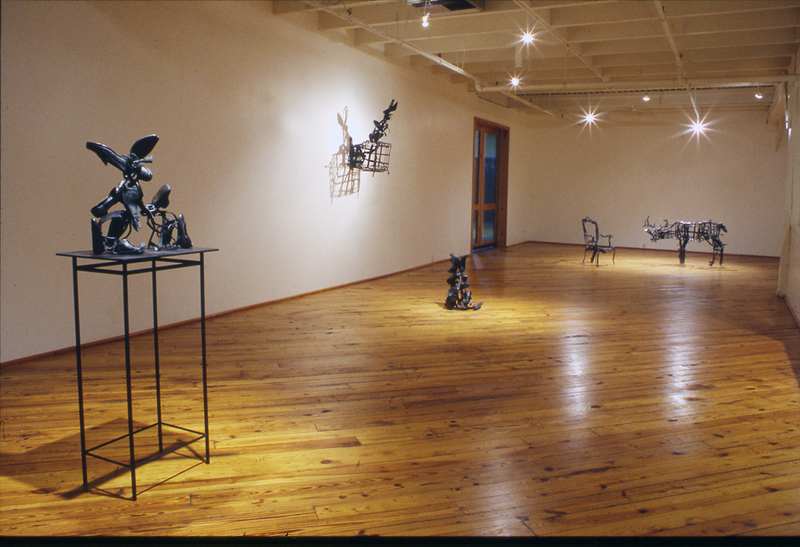 It’s an armature really, over which I have improvised a three dimensional drawing in a structure very much akin to jazz. 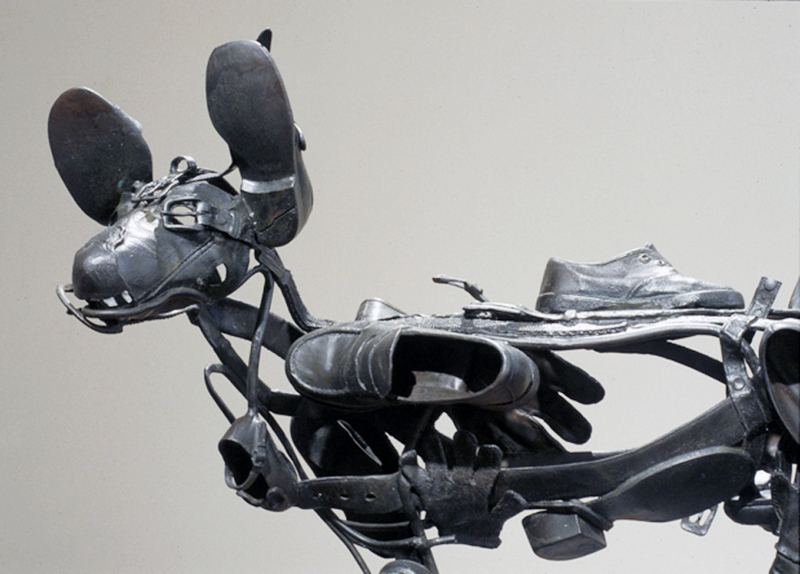 The pieces themselves have an extraordinary sense of memory, melancholy, and loss. 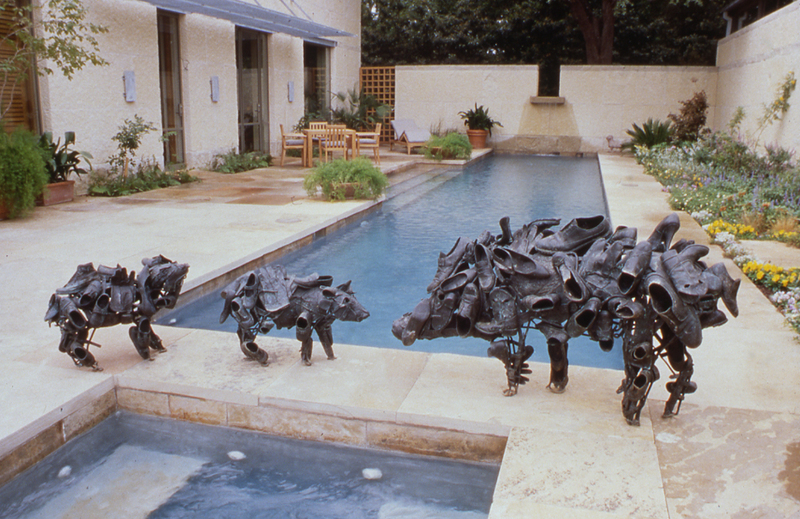 And as much as they appear to be sculptures of animals, I see them as ruminations on the human condition and the dilemmas we face as adults. 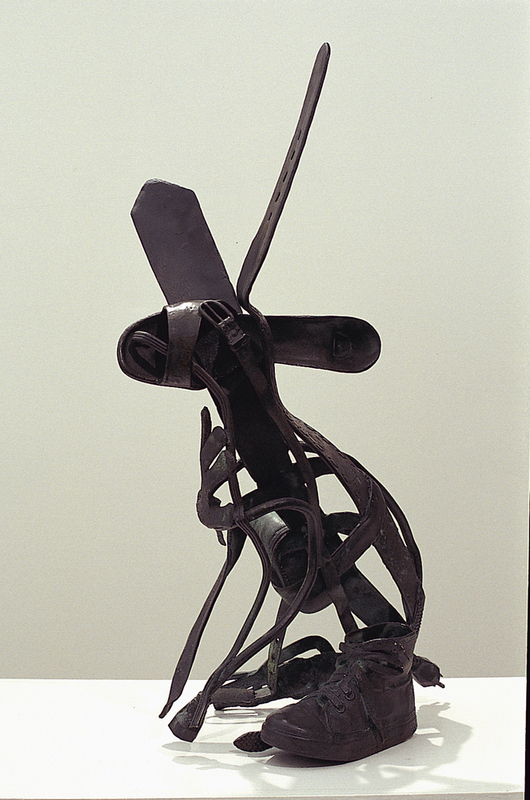 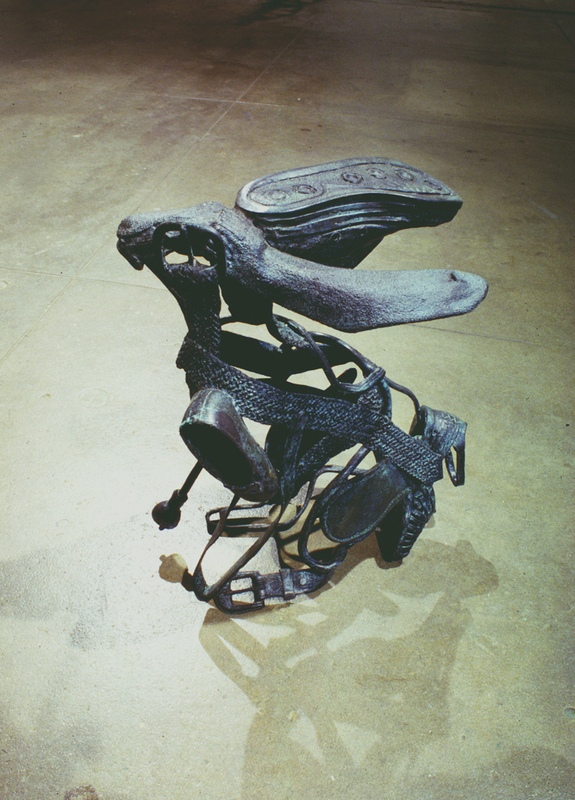 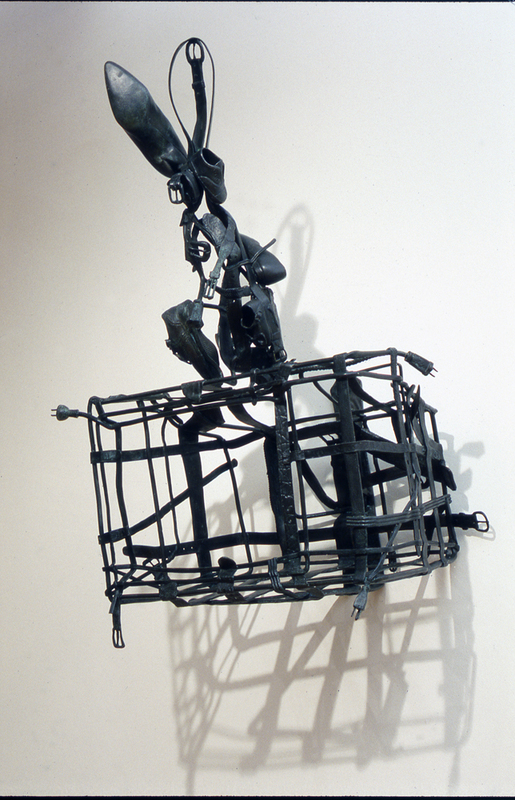 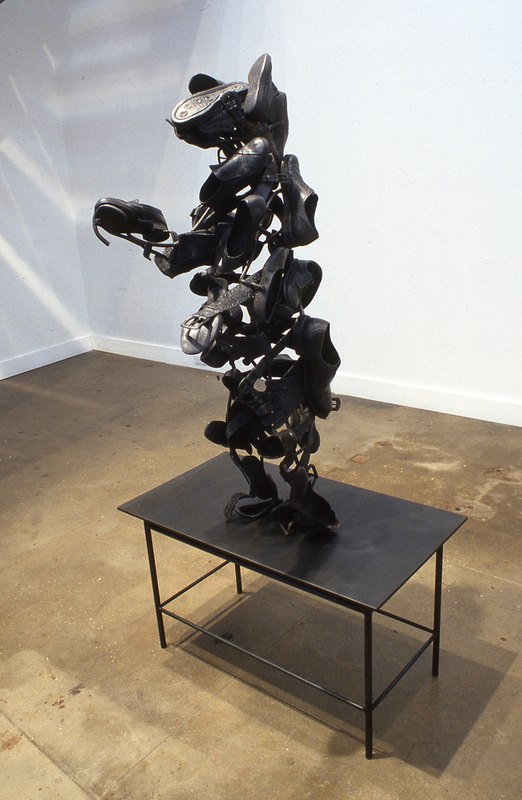 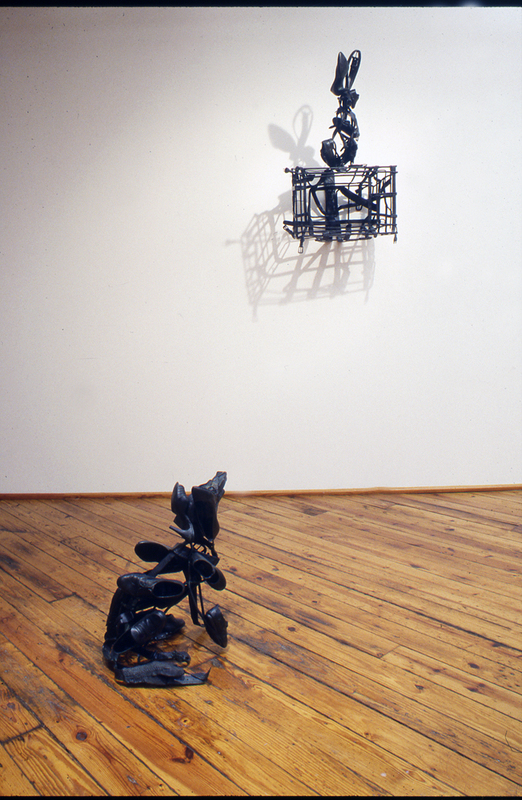 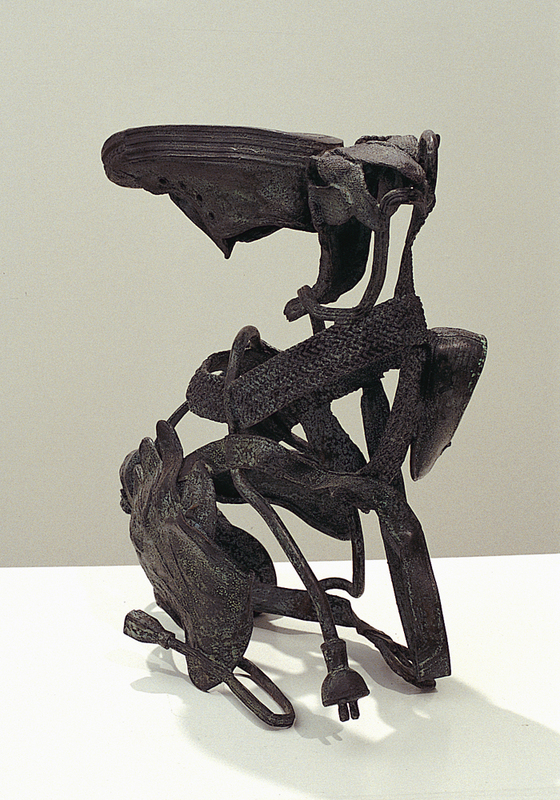 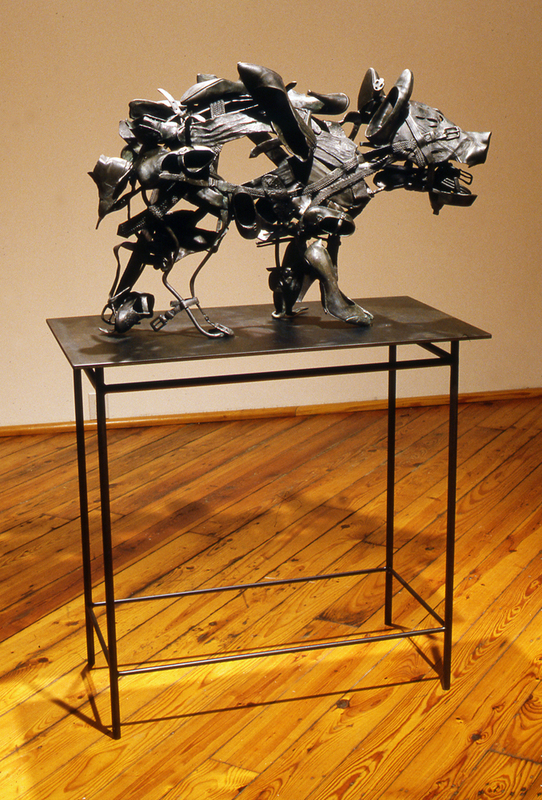 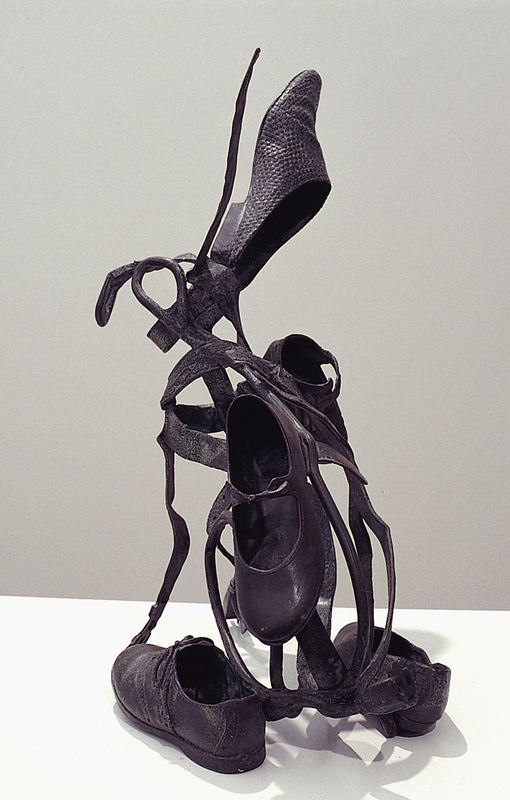 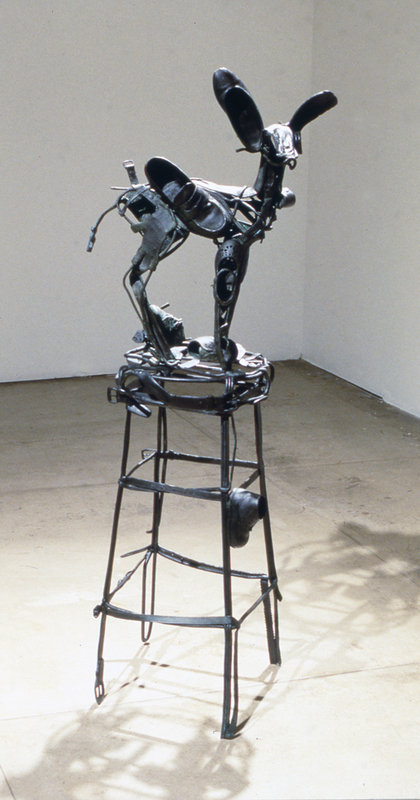 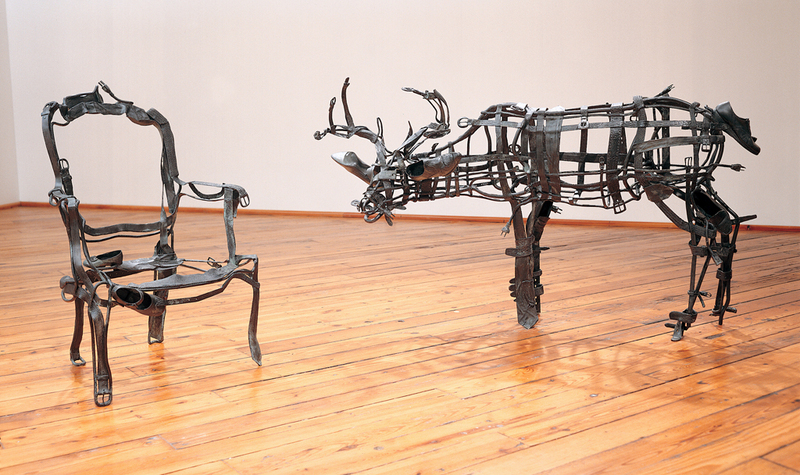 "Tax" 1999; Bronze; 25"H x 96"W x 112"D; The rabbits and the cougar were shown this way during the Finesilver Exhibition but sold seperately. 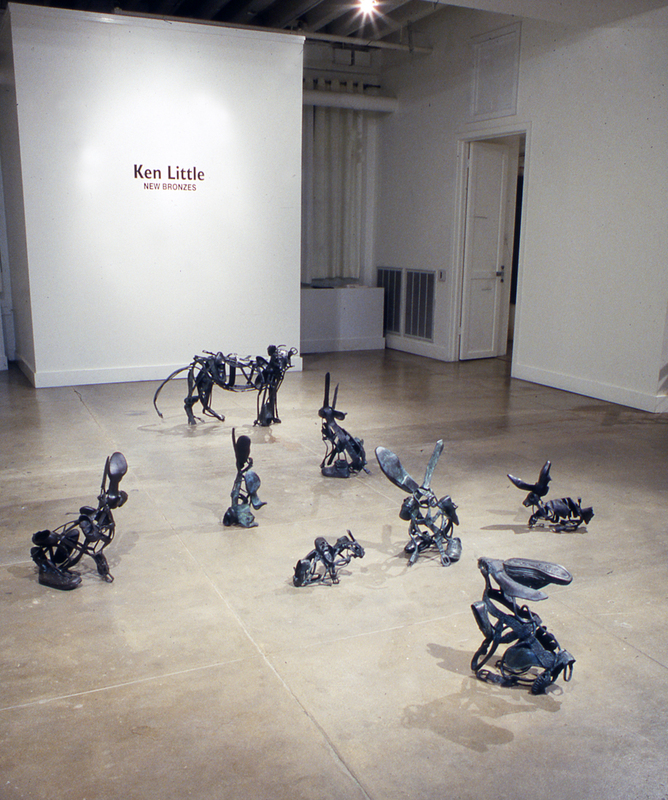 All are in private collections.